NO-GERMS Deo™ work with your body and nature to delivery proven results. 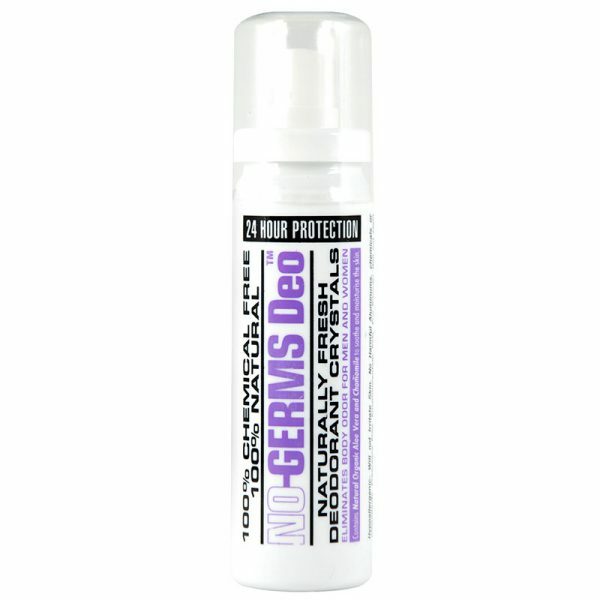 NO-GERMS Deo™ delivers gentle, alcohol free and 100% natural alternative to regular deodorants. 100% Natural. 100% Chemical Free. 100% for Sensitive Skin. 24h Effectiveness Guarantee. Following the success of our alcohol/Sulphate/Paraben free NO-GERMS line. NO-GERMS Deo™ work with your body and nature to delivery proven results. 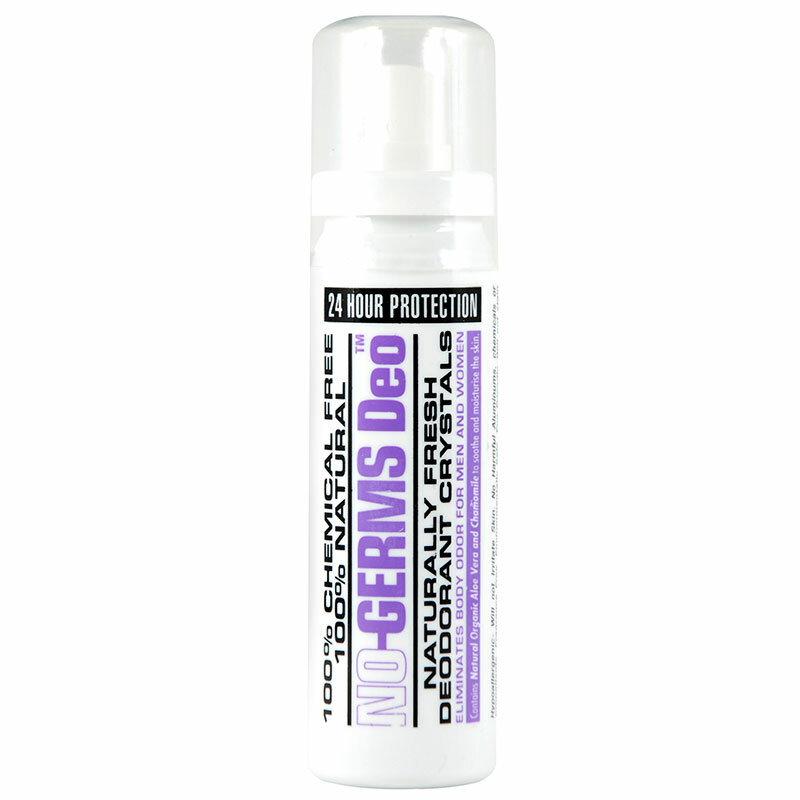 NO-GERMS Deo™ delivers gentle, alcohol free and 100% natural alternative to regular deodorants. · 100% natural. Chemical Free. · No Alcohol. No Parabens. No Sulphates. No Aluminium. · Will not stain clothes or irritate Skin. · Contains pure natural mineral salts. · Hypo Allergenic: will not irritate skin. · Active Essential Bergemont water. · Allows the natural elimination of toxins. · No Perfumes or flagrance. NO-GERMS Deo™ contains natural mineral salts that form a layer of natural protection from the bacteria that cause body odour. It is formulated without harmful chemicals, propellants or perfumes, sulphates, parabens or any other un-natural ingredient– making it completely safe for you, your children and the environment.